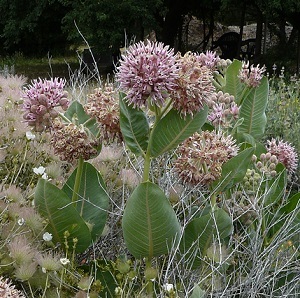 Showy Milkweed was once common, but modern agricultural techniques have largely eradicated this crucial pollinator plant. Milkweed provides larval food for the dwindling Monarch butterfly. It is tall and beautiful, but spreads through the garden by root–so choose the planting site with care!